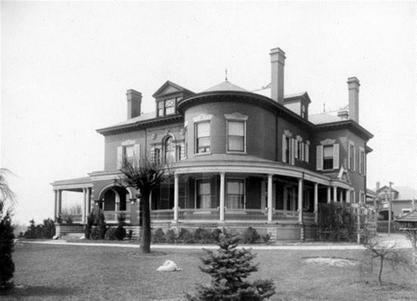 When the estate was built, it was located on Rapid Run Pike; Hermosa Avenue was the driveway to Lackman’s home at that time. 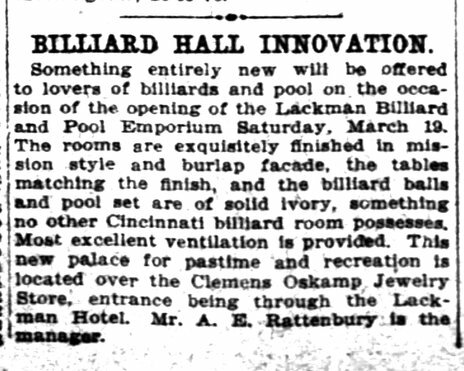 Henry Lackman eventually developed the land he owned across West Eighth Street to become Elberon Heights, now the Carnation Avenue area. 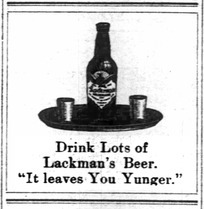 Brewing was apparently the Lackman family business; another member of the family, Herman Lackman, owned the United States Brewery, which was located in the southern part of the West End, near the Mill Creek. 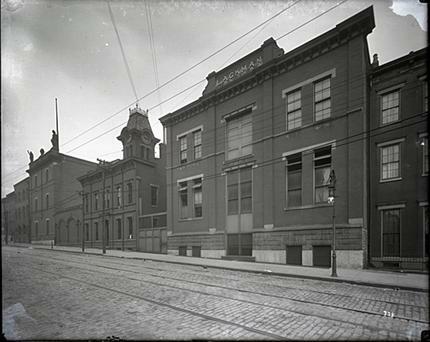 And all these breweries supported a prodigious number of beer gardens and saloons, in Price Hill and elsewhere. 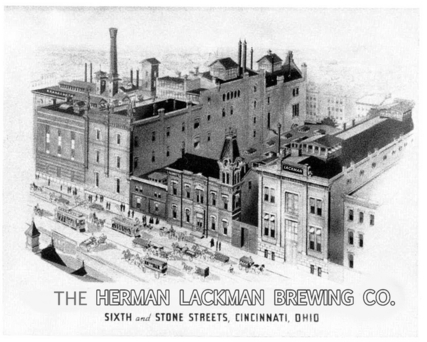 Herman Lackman Brewing Co. opened in 1890 and closed in 1919 it was open for 29 years. With a frontage on Sixth Street, extending from No. 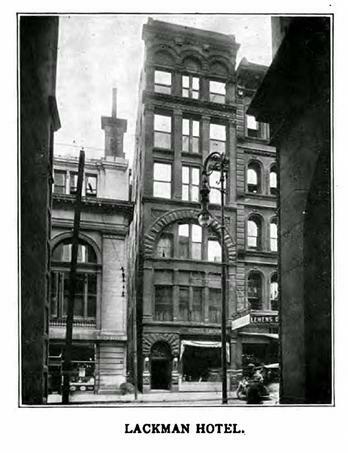 503, corner Stone Street, 300 feet, to No. 525, it runs back 200 feet to Carlisle Avenue, and on the latter rises a monument, indeed, to the founder of the business. 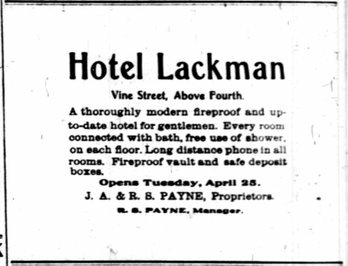 Hotel Lackman - Stag, Vine Street, near Fourth. Antique Hotel Lackman Beer Stein, Hotel Lackman, Cincinnati, Ohio. 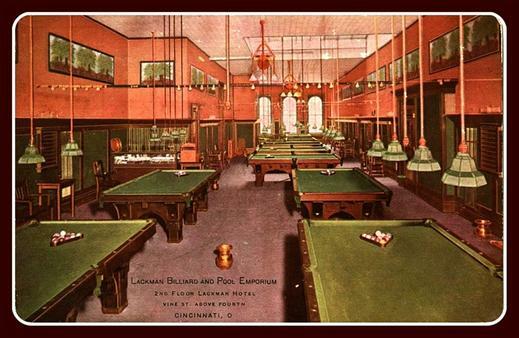 Hotel was owned by The Herman Lackman Brewing Co. Stein base is stamped F.A. Schwill & Son Co., this company was supplier of brewing supplies and grain to the brewing industry. Stein was made by company Thuemler Manufacturing Co., (Sewickley, Pennsylvania.) for Schwill & Son Co. and was given away as a sales promotion. Blue under glaze, white bead band, looks like free hand scratch Hotel Lackman. Stein probably date to 1st quarter 1900's.